This picture was taken before I had any surgery (2000). I was 24 years old at the time. Emotional! This picture was taken 9 months later. 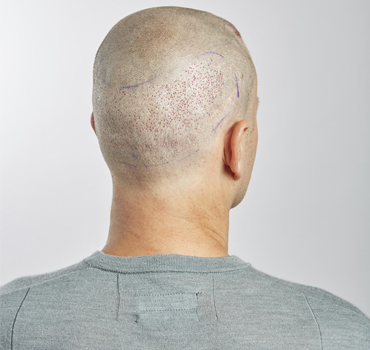 I’d been on proscar for this time and it had helped thicken up the back but unfortunately not really helped with the front.This picture was taken just before my 3rd surgery of 500 grafts via Strip with Bosley. 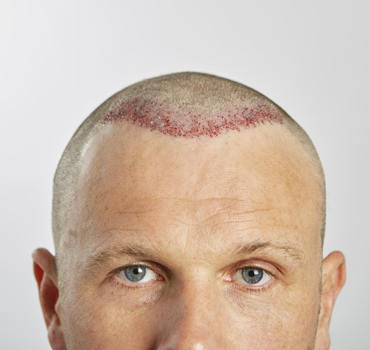 Today to have a strip surgery performed for only 500 grafts would be totally unethical! These pictures are taken after 4 more surgeries with various clinics. The overall result left me with good density in the front. 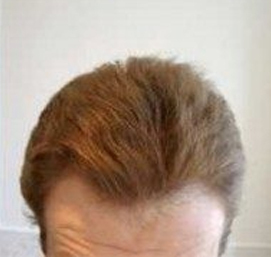 However, my hairline still appeared unnatural making me still extremely self-conscious and anxious. 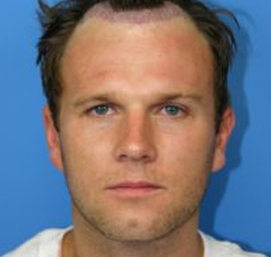 My hairline was stalky, pluggy with inappropriate grafts that were at incorrect angles. Still in search of that desired, natural look . 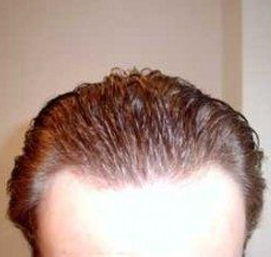 Achieving a natural hairline is one of the most important factors as it frames your face and is the areas of hair people see most, including yourself. This is why it is essential that the design of your hairline is as natural and as close to Mother Nature intended as possible. 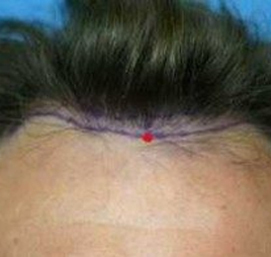 This is done by using the correct grafts (single hair grafts) and positioning them at the appropriate angle and direction. 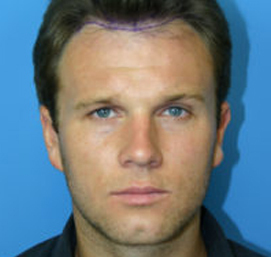 This picture was taken immediately after my 900 FUE graft procedure with Dr Feller. As you can see the area worked on does appear very healthy and clean. 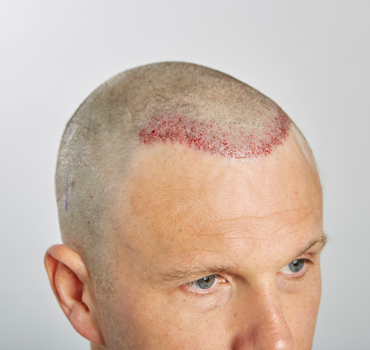 Dr Feller uses a technique called the Lateral Slit Technique, which is minimally invasive and leaves the recipient looking remarkable. This area remains red for a number of days (approx 7/14) but everyone heals differently. I applied Aloe Vera gel to the area and it definitely helped to speed up the healing process. 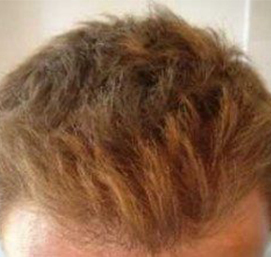 This picture shows my hair at 5 months post op with Dr Feller. There is already a significant difference to the previous pre-op picture. Growth of the new grafts start around month 3-4 and the growth then continues for up to 18 months depending on the individual. 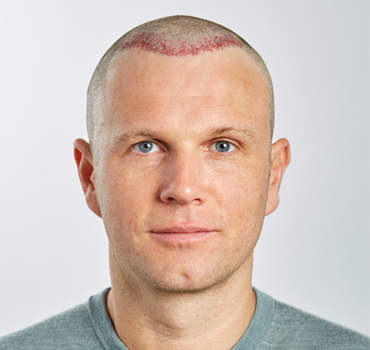 Everyones hair grows at different rates but generally months 7/8 are the realisation months and month 12 / 14 is when you can really assess the benefits. 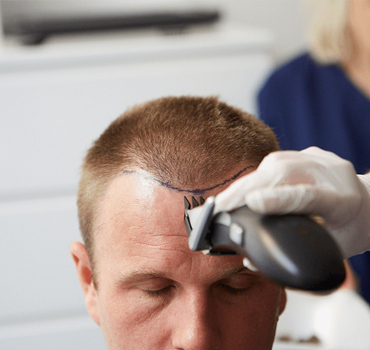 Hair transplantation is a slow process – you must be patient. The advantage of the newly transplanted hair taking so long to grow is that people do not instantly notice you’ve gained hair. 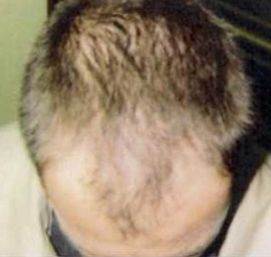 This picture is taken 6 months after my 900 grafts with Dr Feller. 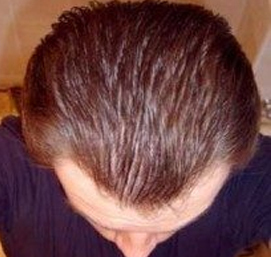 The hair in the picture is wet to fully expose the new growth. 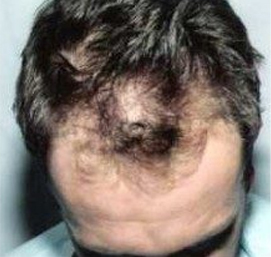 This picture is taken 6 months after my 900 grafts with Dr Feller. This picture is taken with wet hair to expose the new hair growth.